Take your party onion dip to the next level with this recipe for Caramelized Onion Dip with Beer. With summer here, so are the parties. Whether it’s a backyard barbecue, family brunch or a nice evening meal with friends, I’m finding myself in the kitchen preparing and bringing a homemade dish. If I’m not asked to bring a dessert, than I’m asked to bring an appetizer. 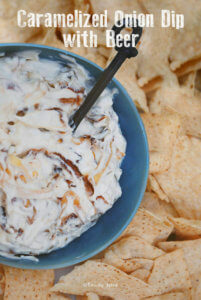 My good friend, who admits she is not a seasoned chef, introduced me to her go-to-appetizer, homemade onion dip. It’s easy to prepare, ingredients are either ready in your kitchen or easy to pick up at the grocery store. And of course, it’s easy to eat!!! I took her basic recipe and kicked it up a few notches. This is not the Lipton Onion Soup Mix Dip I grew up with! Instead of just cooking the onions until soft, I cook them slowly until they are caramelized. This requires patience and can take 30 minutes to an hour. Please don’t skip this step. It really is worth the extra effot. 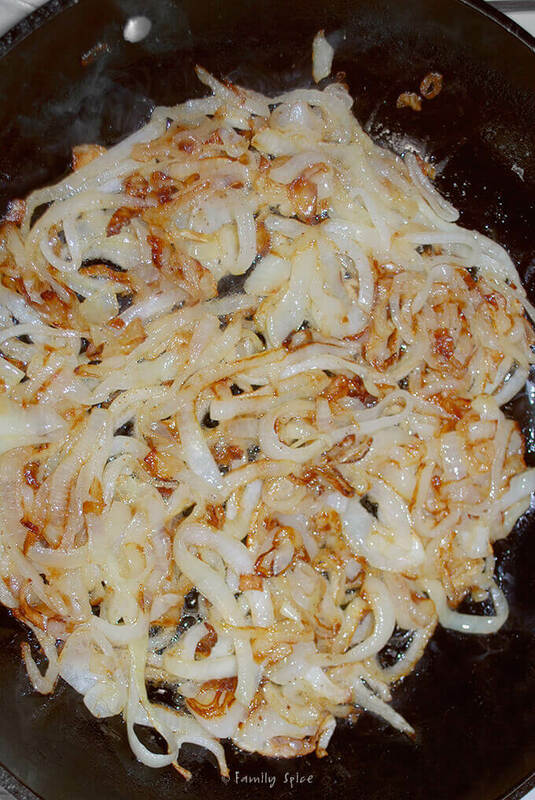 Caramelized onions have a wonderful sweetness about them. Watch them change from their raw white color to a sweet golden-brown. The other change I made to Ina’s recipe is the addition of beer. Pour it in and cook the onions in the beer until most of it is absorbed into the onions. Mmmmm… so much flavor! After everything cools, mix it with cream cheese, sour cream and mayonnaise. You can serve it right away, or refrigerate until you are ready to serve. Just give it about 10 minutes to soften. Serve with chips or veggies and watch your friends and family go nuts! 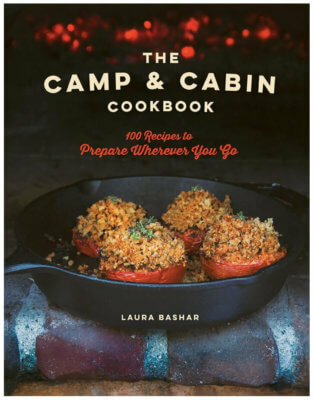 Great warm or cold, and everyone will think you are the Top Chef! Add the onions to the hot pan. Stir and sauté onions for 10 minutes. Reduce the heat to medium-low and cook, stirring occasionally, for 20 more minutes until the onions are browned and caramelized. 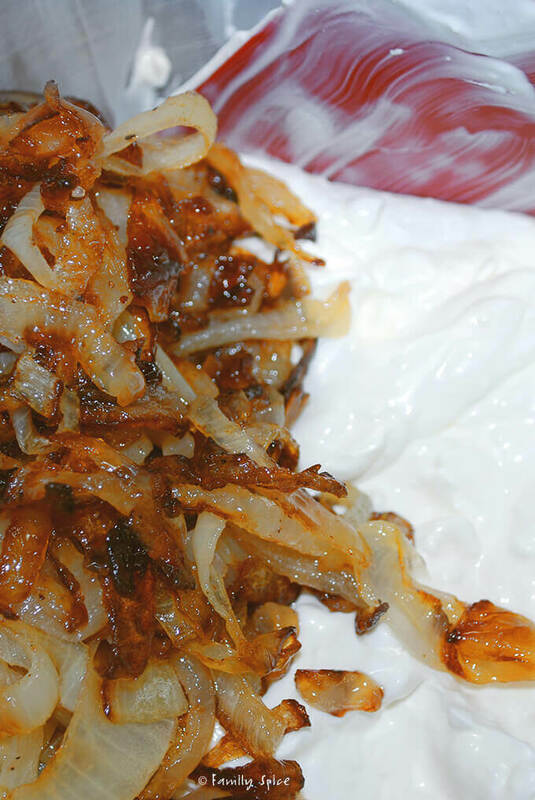 Increase heat to medium-high and cook onions until beer reduces by 1/3, approximately 10 minutes. 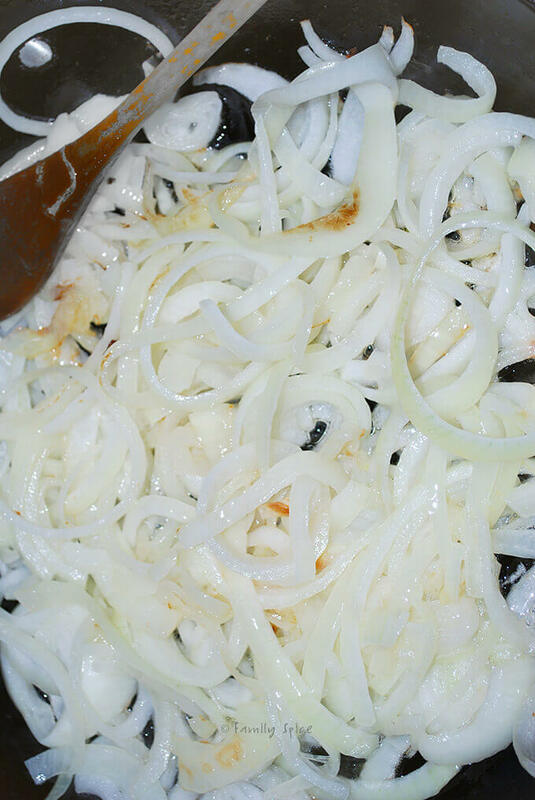 Remove from heat and allow the onions to cool to room temperature, about 20 minutes. Stir in onions and adjust seasoning to your taste. Serving Suggestions: Serve with chips, bread or vegetables. Cooking Tips: You can make this dip ahead and refrigerate after it is complete. Remove from the refrigerator 30 minutes prior to serving to soften the dip and bring it to room temperature. * The alcohol in the beer is burned off, making this safe for kids to eat. I made this for happy hour with the neighbors and it went over great! The neighbors couldn't get enough and what little was left was devoured by me and the hubby as a snack the next day! For using two whole onions, it still wasn't overpowering. For onion lovers like me, it was heaven and for the onion-shy, it was a great blend of flavors! Definitely making it again!